Could you please clarify: Are you describing what arapiles was, or what arapiles is, or what you want it to be? Silly question I know but I just want to make sure so I can disagree with you properly. Is this a troll? Are you serious? Who are you? Did a bolt screw your misses while you were out climbing one day and now you've dedicated your life to revenge? I can think of dozens of bolts added to the mount over the years that were not strictly required, I mean they really could be removed, but on the other hand they also made a fuchload of sense... are you suggesting we pull them all out? Please address each question individually and specifically so that we can all understand. Many thanks. >so that we can all understand. Many thanks. and to anyone using memegenerator, if a meme comes from there then it's not. p.s. Anyone got some glue and a gun I can borrow? At least lets re-imagine bolting .... How about we put in a Maccalov thread, there's already a hole from the perfectly functional bolt so just drill another one at an angle so they meet up and then you can put some dyneema sling in it, all good ?? And of course you don't have to clip it if you don't want to . . . 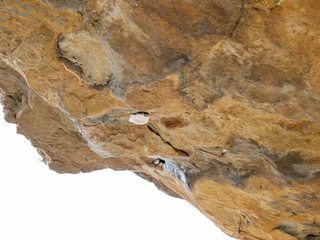 The easy way to resolve these bolting discussions would be to rename this web site "Boltstone"
Hm, I think that is actually generated by the site itself based on recorded routes etc Not really accurate , , , Maybe 'Upper Spurt Climber' . . .
Old-schooled climber who still gives many a young'uns a run for their money on the sharp end . . . Still keepin' it real after all these years . ..
>out maybe 8-10mm and the hanger is jingling loose. I'm not so sure that the bolt has worked its way out slightly, I just think it was poorly placed to begin with. I always recall the bolt sticking out a bit and the hanger spinning. My main concern was that it wasn't directly up into the roof but at an angle into a shallow flake of rock. >If the bolt fails then someone is looking at a ground fall for sure. >I was thinking of replacing the bolt so have a few questions first. Great that you have the inclination to do this. And it sounds like you have some practical skills. To be totally honest, I wouldn't be fussed if you left the original bolt and simply placed a much better bolt in better rock nearby. Whilst I am usually a fan of removing bolts and re-using the hole where you can, I don't think the original placement was the best choice. I also don't think the type of bolt used up there will actually come out easily (I'm pretty sure it is not a sleeve/nut type), therefore you could make more of a mess trying to remove it. Given that Pilot Error is a novelty route without a great legacy of tradition and boldness worth preserving, then I don't see much wrong with having two bolts protecting a crux move given the ground is in close proximity. >What is the preferred hardware to replace it with these days? I'm not an expert on this. In a lot of cases expansion bolts work great at Arapiles but make sure you use a roof hanger, not a conventional hanger. I suspect a glue-in bolt would be the best, but I've never placed glue-ins. >dust and then place a new glued in bolt? This is a good solution if you remove the bolt and don't plan to re-use the hole. Will look forward to seeing your handiwork should you do the job. Hope it goes smoothly. 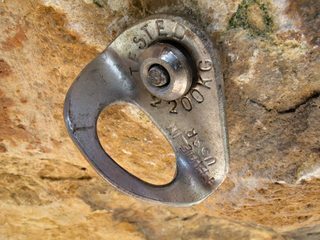 There is nothing more frustrating than stuffing up a bolt placement, particularly when it is Arapiles rock and on a popular route. So did anything ever come of this? 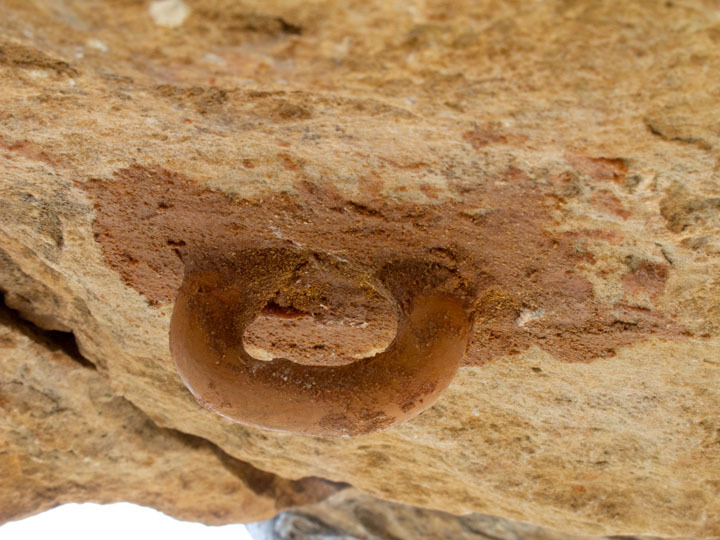 I'm headed to Arapiles over Easter, and if the dodgy old bolt is still there, I'd be inclined to replace it with what would most likely be a camouflaged, glue-in stainless ring bolt. I'll re-use the old bolt hole if I can get the bolt out, and if I think its positioning is good, or drill a new placement otherwise. Any objections? The alternative (assuming a replacement bolt is to be placed) would be a glue-in M12 stainless threaded rod with a hanger. This may be preferable for those who despise rings, but in my opinion is inferior for this placement, as the nut can loosen (especially given how many people would be swinging on it), which allows the hanger to move, which results in the threads being damaged by the hanger, which means you can't properly tighten it any more. It's also more visually obtrusive than a camouflaged ring. Pretty much the only advantage is that it's easier to chop if the need ever arises. That would be great. Definitely a ring-bolt in that spot, not a hanger. So is that the hanger with "Made in the USSR" on it? Defintely a glue in ring. Can we make sure epoxy is used and not polyester. My vote would be for a hangerless glue in bolt, byo hanger, simple, effective and Australian! and someone will have the hanger fall off in mid-crux. Wrong bolt for this climb. I'm guessing it's still the old bolt. Adam and I offered to help the guy replace it but he never got back to us and we were too busy bolting our own routes to go do it by ourselves. Go the glue in ring. And thanks for doing the job. There are 91 messages in this topic.